I'm not against Apple producing original content, but I don't think it's going to turn into a major revenue stream for them. I worry the quest for content is a fool's errand. For years I've said they should buy Nintendo and I still think that would be the best acquisition they could make. The lion's share of App Store revenue is video games and IAP associated with video games. Nintendo is profitable, has numerous well-established and beloved global franchises, and does good work when it comes to hardware and game controllers. I hope the original content play works out for Apple, but I think getting serious about gaming would be a much smarter move. Content generally has a long shelf life - longer than tech, at least. So from that perspective perhaps this could be a good long play for Apple. Don’t expect much for maybe 5 years, but by then, they’ll still be hauling in money from their tech and they’ll have slowly amassed some decent to great content. Prior to Netflix and Amazon producing some big hits, I think a lot of people, including myself, would have said that producing content is out of their (Netflix and a Amazon) wheelhouse and better left to others. And it is tempting to say that about Apple. Thing is, there is now a deluge of content out there...and so many draws for our attention that even ‘good’ content (you be the judge) is getting missed. Unless Apple pulls out some magic and produces a mega hit (or multiple hits) there is a danger that this will fizzle like their social media efforts and other offshoots of the core Apple biz. Time will tell - I’m not going to expect anything of this for several years, as I noted above. If they have a chance at success here, I think it’s in the long play. Disney should buy it. After all, they own everything else. Star Wars, Pixar, Marvel, The Muppets, Winnie the Pooh, you name it. Oh yeah, almost forgot....they just bought 20th Century Fox. Or maybe Apple buys Disney and the Sony-fication of Apple will be complete. P.S. And buy Bad Robot also. P.P.S. Frankly, if Apple was serious about content, a Disney purchase would be the way to go. "Go big or go home" as they say. And then Apple could buy Disney. They currently have a market cap of $165 billion. Apple could easily gain a controlling interest. How confusing is it that Disney is buying 20th Century Fox (a studio) from 21st Century Fox (the grandparent corporation; Fox Entertainment is the parent). Too many foxes, too many centuries. You can never have too many foxes. The thing with original content, all it takes is a few hit shows. Look at Netflix. There is a ton of crap they produce but they do have hit shows. As far as Nintendo goes, I completely agree. With their huge catalog of titles, imagine what that would do for the neglected (with gaming) Apple TV. The gaming market is booming worldwide. That would be a smart move by Apple to invest in that $140 billion/yearly and growing piece of the pie. My concern with content is that Apple is late to the game. They should never have let Netflix become Netflix. I'm a big Apple fan and longtime customer (35 years! ), but it will take a lot to convince me that I need another streaming service. Netflix has become a juggernaut. Yes, Apple has "disrupted" other markets successfully in the past, but there's no guarantee they can do it again. It seems expensive and risky whereas Nintendo is basically a guaranteed win. Nintendo has some of the most well recognized gaming franchises in the world. They have a huge built-in fan base who buys every new console they release. They are the king of mobile gaming (and I don't mean smartphone games). It seems like such a no-brainer to me. Slogging it out in the fickle original content space - trying to build a back catalog of hits, trying to convince the public they need another service - seems highly risky and, frankly, more like a vanity project than anything else. Gaming prints money. Why Apple continues to treat it in a very half-assed way makes no sense to me (and never has). You don't think they have smart people being paid a lot of money to weigh all of these sorts of things and make well-informed decisions? Probably. But there are lots of companies with smart people being paid to make such decisions. It's not just about those aspects. It's also about will, vision, strategy, etc. What's more, people in companies can often be blinded by their current circumstances and past history. There's a reason why so few companies make major successful leaps into new industries or even products in their same industry. There's a certain institutional inertia and blindness that can occur anywhere. I seriously doubt Apple is immune to these kind of things...long term. In fact large and very successful companies can also have hubris that leads to over-confidence about potential success in other industries. I suspect things like gaming, entertainment (movies, TV, media, etc.) are very different from what Apple has been really good at for its entire existence. Those differences shouldn't be taken lightly. Um, that kind of goes without saying, doesn't it? Why bother offering opinions on a forum, much less reading a forum in the first place, if that's your answer? Seems like you're just wasting your time. Why do you care what people on the Internet think if Apple already has smart people to make well-informed decisions? Very strange response. That said, smart people often get it wrong, even Apple. Well said. And we know that Apple isn't immune to institutional inertia. They've done it before. Anyone remember the 90s? I think so many Apple fans have become so lazy when it comes to their own opinions about Apple. They've become incapable of objectively critiquing anything Apple does due to Apple's past decade of success. Any criticism is automatically dismissed because Apple never makes mistakes and disrupts every industry they touch in these people's minds. Of course these people's memories are also very short. It wasn't always that way and it's foolish to assume that just because Apple (or any company) has had a successful run, that that run will go on forever. I'll also add that I don't think Apple has been very smart at all when it comes to video. They should - and could - have entered the content arena much sooner, but Eddie Cue is perhaps the least visionary executive they have. He's been asleep at the wheel while Netflix built a global brand. Unlike user experience and customer service, original content doesn't give them much room to distinguish themselves. It's either good or bad and the (often fickle) public will respond accordingly. Buy a media company? I've been saying for a long time that Apple should buy McLaren to ramp their car portfolio quickly. Last time I checked it the market cap for McLaren was about $2B. Tim Cook tips bigger than $2B for lunch. Hey, McLaren's HQ in UK looks a lot like the new Apple spaceship campus, guess which one came first? I'd settle for Apple buying Dyson, which says it's going to sell EV cars in 2021, with the cars being built in Singapore. I think Dyson is also worth $2B in change. Curiously, most of Dyson's products could also be HomeKit-enabled and sold in Apple Stores (robot vacuum cleaners, fans, humidifiers, lights, etc.) So that's a perfect fit. Nintendo!? They’d be much better off buying Sony. Huge content library, music, movies and TV shows, huge gaming presence, a huge move into consumer electronics, plus fairly advanced R&D and manufacturing abilities. Apple could have a 2nd outlet for their platforms and services. Sony computers with macOS. 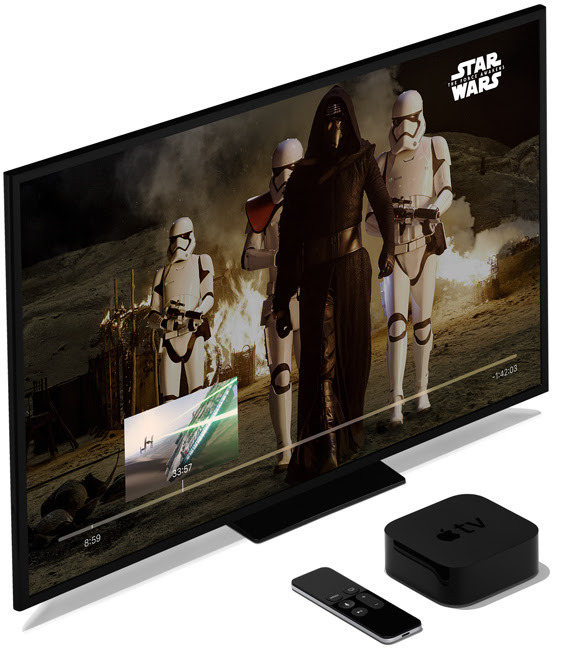 TV’s with tvOS, mobile phones with iOS, etc. "PC guys are not going to just figure this out. They're not going to just walk in." Two decades which have seen monumental growth. The best portable music player. The best phone. The best tablet. The best smart watch. The best mobile silicon. Apple Pay, Apple Music, and other services growing rapidly. Stable Mac sales in a contracting PC market. I'd say that's a pretty good track record. They don't need to completely own the original content field — just do it well in order to bolster their services and ecosystem lock-in. Sorry, but I'm gonna bet on Apple over the FUD peddlers. Agree with most of your post. The only thing is that I do not believe that there is a danger of this fizzling out like Ping or Connect. Those were just freebees appended to the music service. Unlike those, Apple is actually investing money into Video content, so they will treat it like a premiere service.